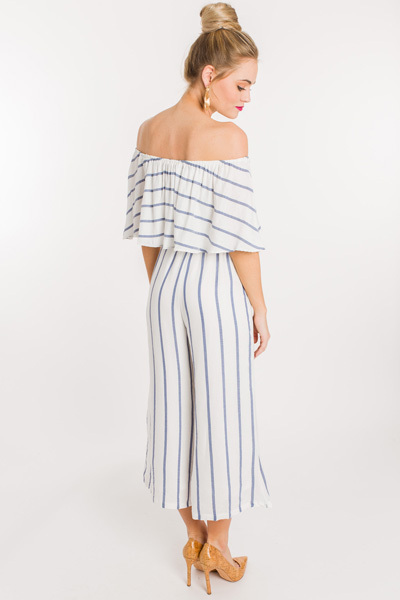 There is just something about a flirty and striped jumpsuit that makes us feel so ready for spring! 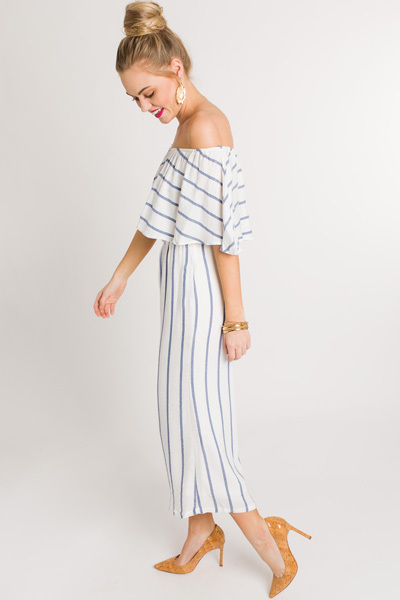 The fluttery, off the shoulder sleeves and cropped, wide legs work together to create a beautiful and flattering shape. 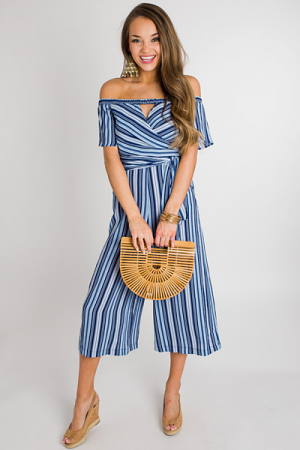 Elastic waist allows for an easy, pull-on fit. Fully lined.